Working from home – how remote can you go? 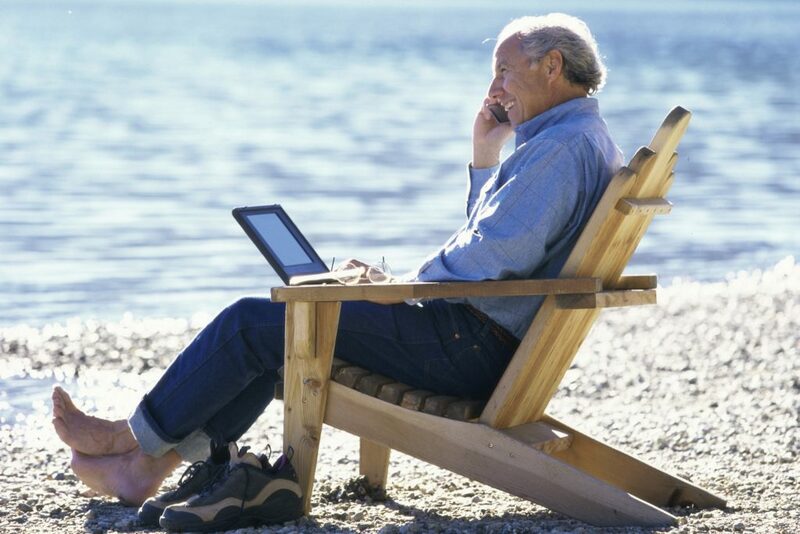 Remote working is on the rise – but how far can you realistically stray from the head office? With 91% of all firms having at least one remote worker and 19% with half their workforce working from home (British Chamber of Commerce figures), remote working is a trend that’s here to stay. But what classes as ‘remote’ these days? And how far from your central office can you really go without affecting your work? Sometimes, remote working is more a state of mind than anything to do with physical proximity. According to research from Basex, interruptions from colleagues costs the US economy $588 billion a year. Working from home allows you to focus on the task at hand without the constant interruptions. This means some people who live within walking distance of their office might still choose to work from home. The benefits are that you can pop in at a moment’s notice making it easier to split your time between home and work, come to meetings and enjoy the after work social aspects. If you’re living in a large city like London or Birmingham, there are a number of good reasons why you’d work from home instead of heading into the office. The biggest of which is the commute. You might only be a few miles away but your commute could easily end up taking an hour, along with costing you hundreds of pounds a year. But, it also means that for the larger, monthly meetings getting into the office is fairly easy. You’ll also be in the same city as colleague so organising events, trips to clients and meetings is a lot simpler. As a company, it pays to expand recruitment searches to further afield. By allowing people from across the UK to apply for advertised positions, businesses can open themselves to a larger pool of talent. And while it has other benefits (less office space, remote workers can be more productive than office workers), it also has a few costs. For example, if a business is helping you set up your home offices, they’ll be faced with some costly postage charges to get all the equipment to them. And if things go wrong with your kit, you can’t just pop into the office to use an alternative computer. In fact, getting to the office or events can be costly and involve up to a day’s lost working time. The ultimate in remote working is to be based in another country. This is favoured by a lot of younger people who choose to work while travelling around the world. Or maybe you’re a wannabe expat who would like to keep your current position. As a company, offering working from abroad – whether it’s full time or for an extended holiday – is a great way to keep some of the best employees happy. And it can be done, but there are a few things you’ll need to bear in mind. If you’re going somewhere half way around the world, your time zones will no longer synch with central office. Depending on the type of work you do, this might be an issue. Also, if you need a strong and fast internet connection, some countries might not be able to provide this. Other costs include phone bills and money transfers abroad. This entry was posted in Blog on 16th February 2016 by Julie Tucker.